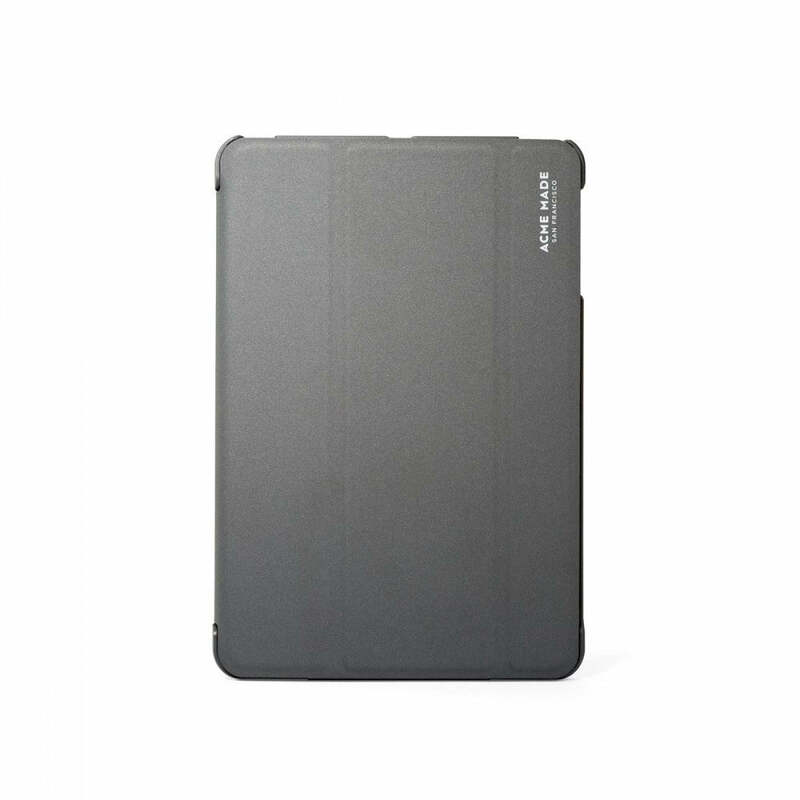 This slim and refined tablet case was designed as a thoughtful basic. It delivers protection and offers ease of use without calling attention to itself. The Skinny Cover sits level thanks to a sturdy, footed base, and its SatinShell™ cover gets its good looks and smooth hand from a custom laminate – the corners neatly lining up with your tablet to blur the lines between device and case. The ultra-thin design belies the fact that this case offers great protection – from its smooth cover to its hardshell base. The SatinShell™ cover is made from a custom laminate that resists stains, moisture and abrasion. Fold and tuck the cover into the raised display tab to use your device in typing or landscape modes. Built-in magnets keep things simple – open the cover and you’re ready to go.